Lathe · Min Plastics & Supply, Inc.
A lathe will spin a part while a stationary cutter makes pre-defined cuts for a precision cylindrical finish. A lathe can hollow out a precise amount from the parent material, make an exterior cylindrical cut, add grooves, make tapers, and/or cut threads. 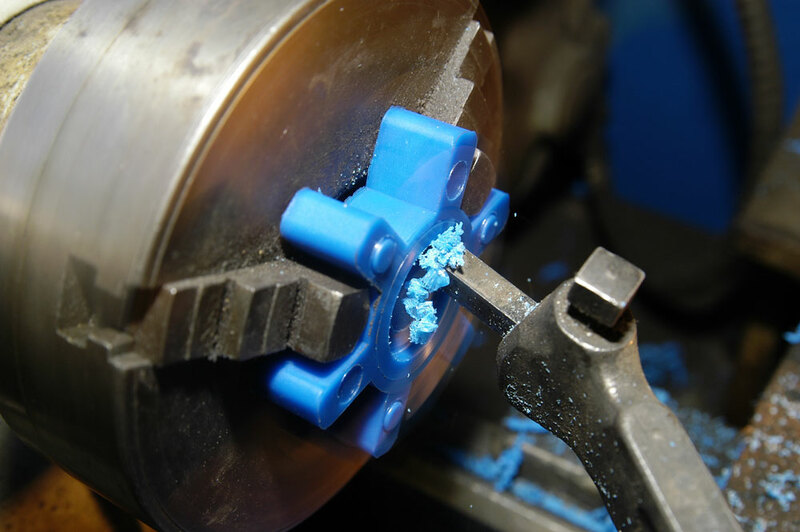 Common use of lathe work with plastics include machining low friction plastic bushings. We are able to hold specific inside and outside diameters for precision fits. We can also machine parts for a precision slip fit over something or add grooves for o-rings. Lathe work will usually have mechanical drawings associated to specify dimensions, tolerances, and specifics. If you do not have mechanical drawings please bring all the critical parts and dimensions so we can help you accurately make a shop drawing.